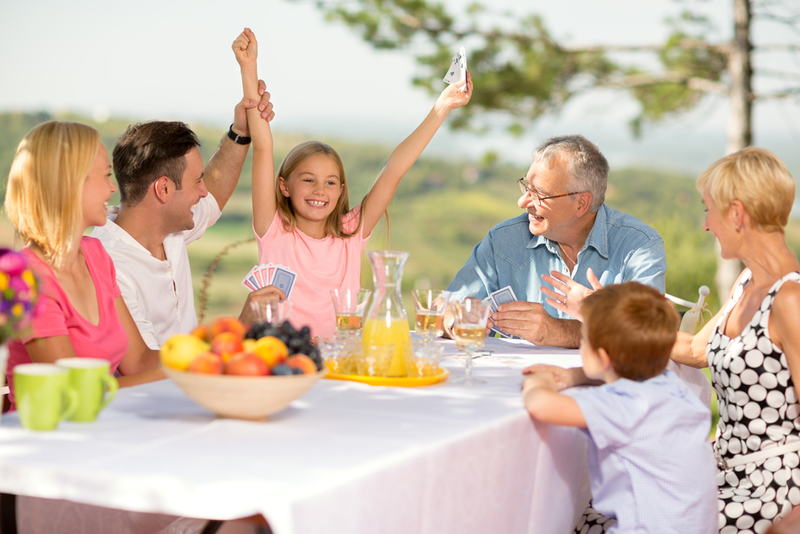 Sometimes there's nothing like pulling out a deck of cards and playing a game with family or friends. With so many card games out there you're sure to find one that's perfect for you. You can mix it up by learning how to play Crazy Eights and other classic card games so you'll never run out of different games to play. So whether you're at the beach, sitting at the dinner table, or just trying to pass the time, be sure to have a deck of cards with you. They can offer hours of amusement. If you're interested in this classic, though, you'll need to learn how to play Crazy Eights. As with any card game, there will be a slight learning curve. But, once you get used to it, you and your friends can play it as often as you desire. Card games were especially popular during and immediately after the great depression. For families that lived in the northern United States where snow would make going outside difficult, sitting inside around the fire and playing card games proved a valuable form of entertainment. Crazy Eights is a card game that first came out during the 1930s, so it's been around more than 80 years. Originally, it was just known as Eights. However, in the 1940s, it became known as Crazy Eights. It took on this name because of its popularity in the military. Individuals discharged from the army for being 'mentally unstable' were known as Section 8s, or Crazy 8s. As playing cars in the military during the Second World War become popular, it took on the name Crazy Eights. Today, the game goes by several names, and each name comes with slightly different rules. There is one popular version that also comes with its own deck. Some of these variations with different names includes Last One, Rockaway, Switch, Last Card, Screw Your Neighbor, Swedish Rummy, and Craits. Another version called Mau-Mau can get especially odd, as the players can make up new rules as the game progresses. To learn how to play Crazy Eights you'll want to start with the right number of players. It is easiest to play when there is an even number of players. Playing with three or five players makes it a challenge based on how the cards are split up although you may add in a second deck when this is the case to help increase the number of cards. Once you have everyone sitting at the table, you'll want to deal eight cards to each player. If you are playing with just you and another player you'll only deal seven cards to each player. To continue on with how to play Crazy Eights you'll then take the remaining cards in the deck and place them face down on the table. Position it in the center of the table to make it easy for everyone to have access to. With the deck in the center of the table, take the card on the top of the deck and flip it over. This becomes the start of the game and is the play suit and number. The next player after the dealer (clockwise) will then play a card in their hand that either matches the number or the suit of the card that was flipped over. They can also play an 8. The 8 is a wild card. This means an 8 can be played and when the player has neither the suit nor the number. However, if they have a suit or number that matches the card that's in play, those other cards must be played first. 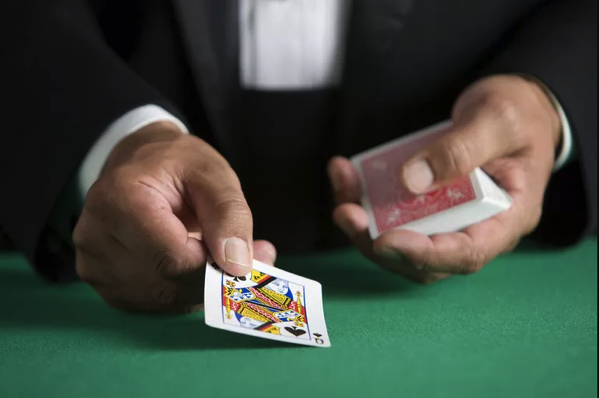 If an 8 is played due to not having any other cards that match the number or the suit, the player laying down the card must call out a suit for the next player to play. The clockwise player must now play the named suit. If a player is unable to play a card that matches the suit and they don't have an 8, they need to draw from the deck. They need to continue drawing from the deck until they have a card that is playable. This continues on until someone no longer has any cards remaining. This completes the hand. If the entire deck is used and the game is still in play, the dealer then picks up the discarded cards, shuffle these back up, and use this as the draw deck. The last played card should remain out so the next player knows what they need to play off of. When the hand is done, players will need to score the hand. 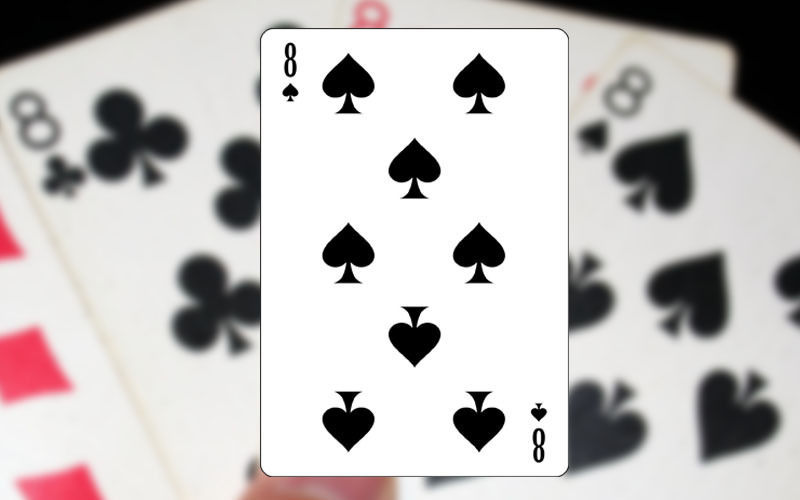 In Crazy Eights, cards are valued as the number of the card, except for 8s. An 8 is worth 50, and all face cards (also known as court cards) are worth 10. The points of each player are added up and given to the player that won the hand. Before starting the game, the players will decide what the winning number of points is. Typically, when playing with two players the winning amount is 100 points. When playing with four players the winning value is typically 200 points, and 300 points for six players. Although, it is possible to select any number prior to the start of the game. While it is easier to play with an even number of players, it is possible to play with odd players. The deck will not be split evenly if there is an odd number of players in the game, which is why some prefer not to play it without an even number of players. However, for those who are looking to play with larger groups it is recommended to bring in a second deck. If you want to add additional cards to the deck without bringing in a secondary deck, you can use the joker card. 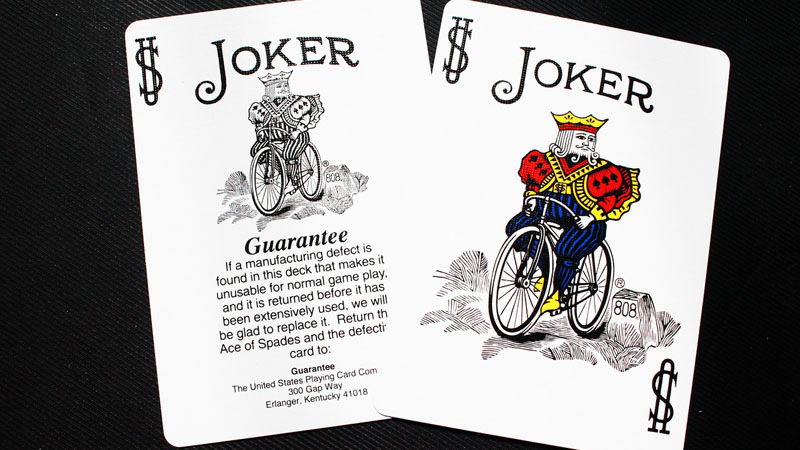 The Joker card is often used in different ways in different versions of the game. There are basic alterations to the game you can take advantage of after you have learned how to play Crazy Eights. With this version, if an ace is played it allows the individual to call out a different suit of their choosing. However, the ace can still only be played as normal if it matches a current ace or the current suit. It gives more power to the player to switch what's in play and keeps all the other players on their toes. It also changes strategy with what might be played. The Ace, after all, is only worth one point, so it is often the card is more likely to be saved until the end. However, with this feature, the ace might be used sooner, causing a player to hold on to cards that are more valuable for the winner. Another variation is a pick-up-2 feature. This works like the 'Draw 2' card in Uno. If someone plays the 2 then the next player is forced to pick up two cards. However, these cards can also be stacked. This means if one player plays a 2 and the second player plays a 2 (after picking up his or her own two cards), the third player is then forced to pick up four cards. Again, like the Ace, it adds additional power to a low card that might normally be held until the end. On top of this, anything can be used as this draw feature. For example, the 4 can be used for a draw four cards if you want to play with this version. There is no limit to how you can vary and alter the game once you've learned how to play Crazy Eights. With a little creativity, one can learn to play Mau-Mau. With this variation, each player who wins a hand gets to make up a new rule and hold the other players to that rule without telling them what it is. As the game progresses, the rules become stacked, such that just remembering all the rules becomes almost as burdensome as trying to figure out the new one. Rules can be as simple as 'when a jack is played, reverse the direction of play' or 'when the five of hearts is played, each player passes his/her hand to the player on the right.' The only limit is your imagination. When learning how to play Crazy Eights, it's a straightforward game. It's easy to learn, fun to play, and doesn't take long to get the hang of. It's also a game you can play with nothing else but a deck of cards and some friends. 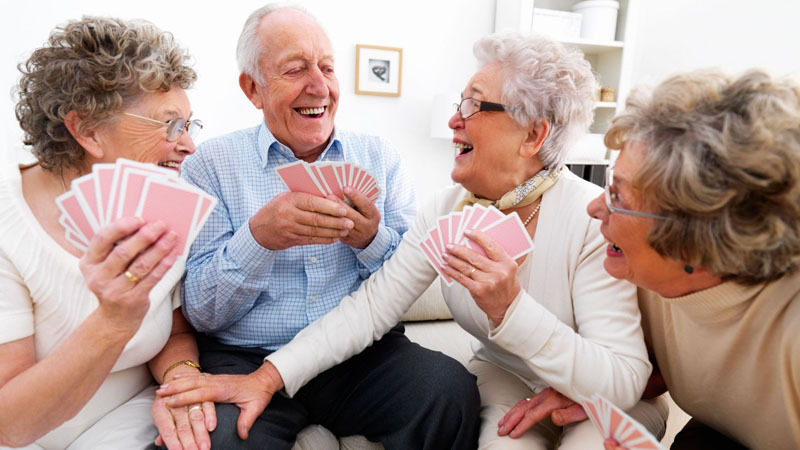 Whatever you do, once you know how to play Crazy Eights, be sure to have fun!